A couple weeks ago, I posted some book reviews written by student assistants that work in Gleeson Library | Geschke Center. Here are some more to get you excited about future reads. 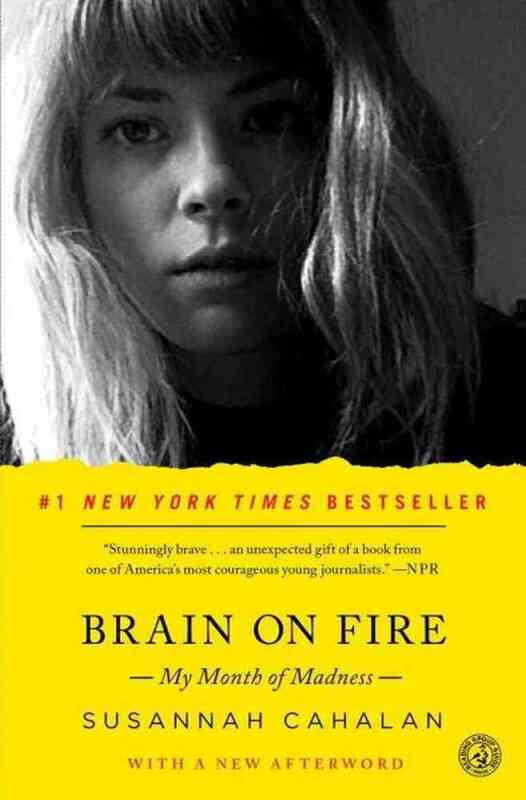 This memoir by Susannah Cahalan depicts the life of the author, a young woman working in New York City as a journalist for the New York Post, as she suddenly descends into mental illness. While doctors and psychologists alike fail to come up with a viable explanation for her change in behavior, the reader witnesses first hand the violence, paranoid hallucinations and helplessness that accompany her unexplainable illness. Although Cahalan notes that she herself is an unreliable source due to the fact that she has no memory of this “month of madness,” she has complied evidence from video surveillance, hospital records, and interviews with all the individuals who witnessed her harrowing journey and miraculous recovery. It is not until a last “real-life House” doctor comes on the scene that the reader finds out Cahalan’s actual rare disease that differs from clinical mental illness as defined in the DSM-V. This book will leave the reader on edge with its vivid depictions of insanity and will make the reader question the small day to day mishaps in their own lives. 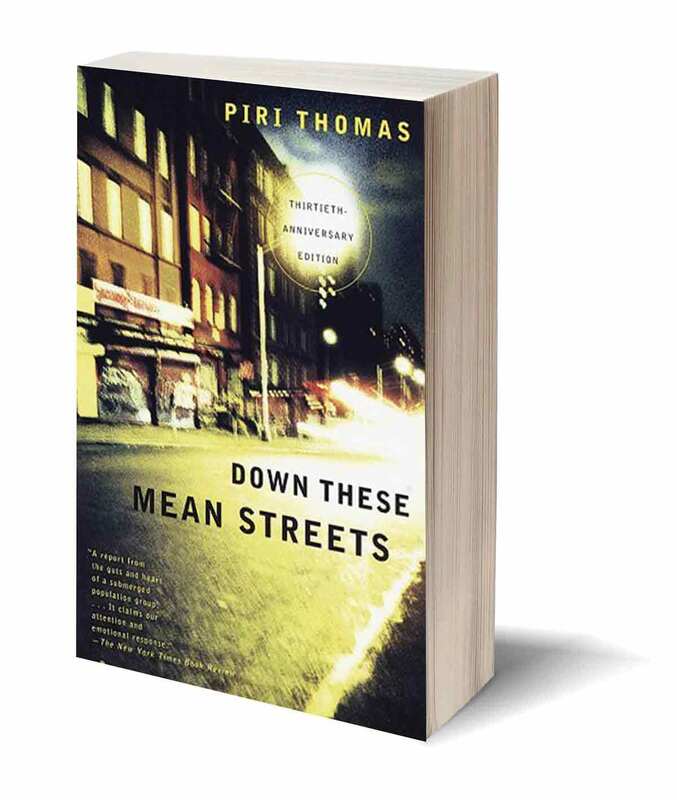 Originally read for a high school English class I was student teaching, Down These Mean Streets by Piri Thomas became one of my favorite “easy reads.” Taking place in the Spanish Harlem, Long Island, and various locations “down South,” Down These Mean Streets tells the engrossing tale of a young man’s journey into adulthood and self-discovery all the while struggling with the immensely prominent racial mindset of 1950s America. As Piri moves readers through his epic memoir, dragging us quite literally through the muck and mire of each mean street, he quietly reveals the humanity which ties us all together, a message that becomes even more striking when juxtaposed with the inhumane, treacherous life of a poor, young, Puerto Rican man. Full of carefully chosen epigraphs, chapter titles, and colloquial language, Piri Thomas weaves a tale that is as impressive in its craft as its social appeal. I highly recommend this for anyone seeking an entertaining and gut-wrenchingly truthful look at a world that has mostly gone unknown. In honor of Women’s History Month, join us for a communal updating of Wikipedia entries on subjects related to contemporary art and feminism. All are welcome. Bring your laptop, if you have one, and feel free to drop in or stay for the entire time. For the editing-averse, we urge you to stop by to show your support. tutorials for beginner Wikipedians, suggestions for entries that need updating or creation, a limited number of laptops, reference materials, and refreshments! * Art+Feminism is a campaign to improve coverage of women and the arts on Wikipedia, and to encourage female editorship. 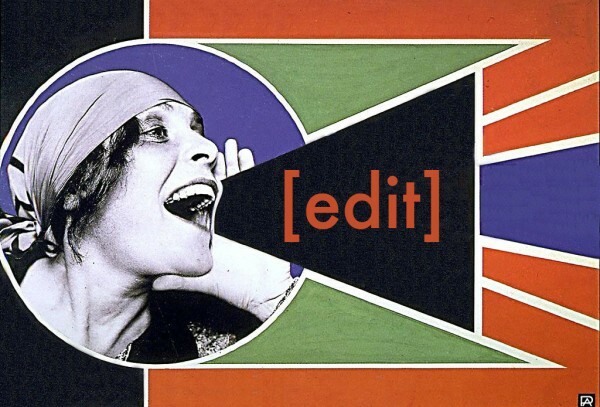 Last year, on February 1st, 2014, approximately 600 participants convened in 31 locations in 6 countries to edit Wikipedia articles on women and the arts as part of Art+Feminism’s annual Wikipedia Edit-A-Thon. This year, Gleeson Library is participating, along with many other international libraries, as a satellite location. I have written a previous post about Gilbert H. Doane who served as Librarian of the University of Wisconsin – Madison General Library from 1937 to 1956 and was one of the World War II “Monuments Men”. Doane was inducted into the Wisconsin Library Hall of Fame in 2014. In doing research on Doane I discovered that he was a collector of bookplates, and that he had written a book about collecting bookplates. I lucked out and was able to purchase a copy of his book at one of the online used book sites. Its title is About Collecting Bookplates: A Letter from Gilbert H. Doane, and it was published in 1941 by a small press named Black Mack. The book which is in the form of a long personal letter came about after a visit from Doane’s friend Bill who showed interest in his collection of bookplates. 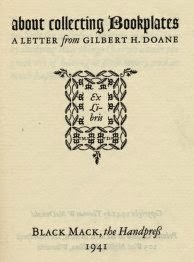 In his book Doane writes: “Were there a small book on the subject [bookplates] easily accessible to your hand, I’d recommend it to you; but, alas, most of the literature, aside from checklists of designers and engravers, is forty or more years old, out of print, and obtainable only through the medium of secondhand book dealers and not always quickly found at that. So here’s the story of bookplates put as briefly as I can put it, but told, I fear, in rather a haphazard way, with, I know, far too many references to examples I’ve been lucky enough to acquire. Do forgive me if, as a collector, I cannot curb my pride in an occasional bit of good luck. God knows, I’ve paid for some of my mistakes in other ways – as you will, Dear Chap, if you get this fever!” As Doane indicates his book/letter is illustrated with bookplates from his collection which any serious bookplate collector would appreciate. The one shown to the left was designed by bookplate designer Edwin D. French (1851-1906) for his own use. Doane’s book is in itself a valued collectible. It is a small book in size (5” by 4”) and length (78 pages) and has its own case. The printing on special paper consisted of 360 numbered copies of which mine is number 30. As with Doane, “I cannot curb my pride in an occasional bit of good luck” in finding a copy of his book. Last semester Bachelor of Science in Nursing students taking Nursing 322, Evidence Based Inquiry and Informatics, used library resources such as CINAHL, PubMed, Scopus and DynaMed to search for and collect evidence on a clinical question. After identifying research relevant to their topics, they critically appraised the studies and made recommendations for practice change based on the strength of the evidence, their clinical expertise, and patient preference. 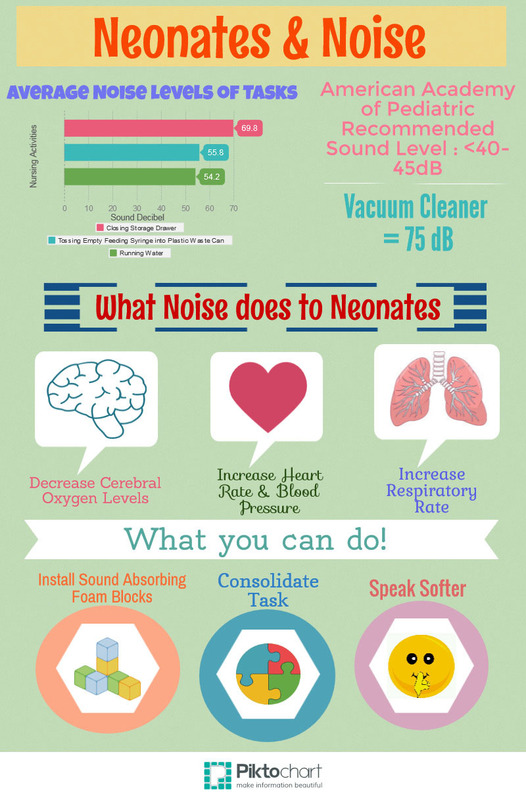 Finally, the nursing students spread the word about their findings through a presentation and an infographic, like the one below on Neonates and Noise by students Maggie Hui, Fabiola Prado, Ryan Lee and Matthew Sy. The infographics have all been posted to MyWikiCare.org, an online, open web platform for curating, sharing, and synthesizing knowledge and experience to speed the translation of evidence-based practice to standard bedside care. Bookplate collecting is a serious endeavor which is normally undertaken by serious collectors. I don’t consider myself a serious collector of bookplates so it is surprising that I have made 18 previous posts to this blog with the label “bookplates” (this one makes 19). I have also ended up with a fairly significant collection of bookplates for institutional libraries (as opposed to personal libraries). I added a major addition to that collection last year when I purchased an album of over 300 bookplates from a dealer at a stamp show. The dealer who knew about my interest in library history had previously offered to sell the album to me, but the price was more than I was willing to pay. He finally got tired of lugging the album around and made me an offer that I couldn’t refuse. The album includes only part of someone’s former collection. The bookplates are for libraries starting with A and going through libraries starting with M. The bookplates are tipped or pasted into the album and I still need to safely remove them. Most of the bookplates are unused and were probably acquired by exchange with libraries or other collectors. The image of the page from the album for the Bangor (ME) Public Library shown above is indicative of that approach. 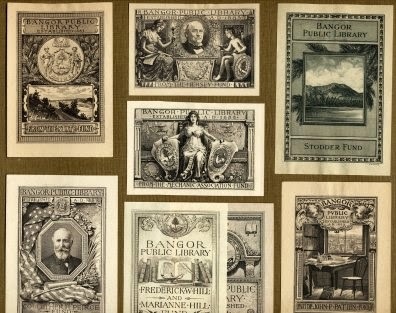 A few of the bookplates in the album were removed from books. 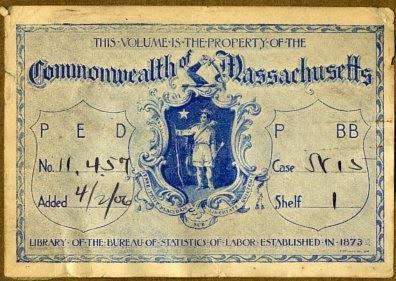 A bookplate from the library of the Bureau of Statistics and Labor of the Commonwealth of Massachusetts, also shown above, is an example of those bookplates. 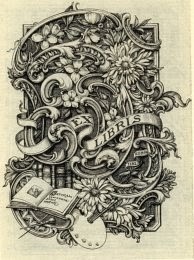 The Massachusetts bookplate was added to the library on April 2, 1906. I have no clue who compiled this collection of bookplates, but it is a fair assumption that it was a librarian. I previously obtained a collection of library bookplates that was assembled by Essae Martha Culver who was executive secretary of the Louisiana Library Commission and later Louisiana State Librarian. Some examples from the Culver collection are located HERE. It is always nice to make a connection with a previous or current collector of librariana.